Missy serves as Chief Accounting Officer of Flexpoint Ford, overseeing the financial reporting as well as audit and tax management responsibilities. 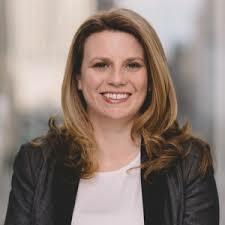 Prior to joining Flexpoint Ford in 2015, Missy spent 11 years in the Assurance Services practice in the Chicago office of the accounting firm Ernst and Young LLP, most recently as a Senior Manager, where her experience included GAAP and SEC financial reporting, risk management, and auditing both publicly and privately held REITs as well as private equity companies. Missy holds a B.A. and M.S. degree in Accounting from Michigan State University and is a certified public accountant. She is a member of the American Institute of Certified Public Accountants and the Illinois State CPA Society.